“ALVIN!” Remember him, the ornery chipmunk in “The Chipmunk Song,?” It’s one of the most popular novelty tunes ever and usually pops up during the Christmas season. To participate in the recording, Alvin has to be loudly prodded by Dave Bagdasarian, Sr., the human voice in the song. In the real world, though, there are no reluctant Alvins! Nature’s chipmunks are lively and full of enthusiasm as they scamper around, busy, busy most of the time. 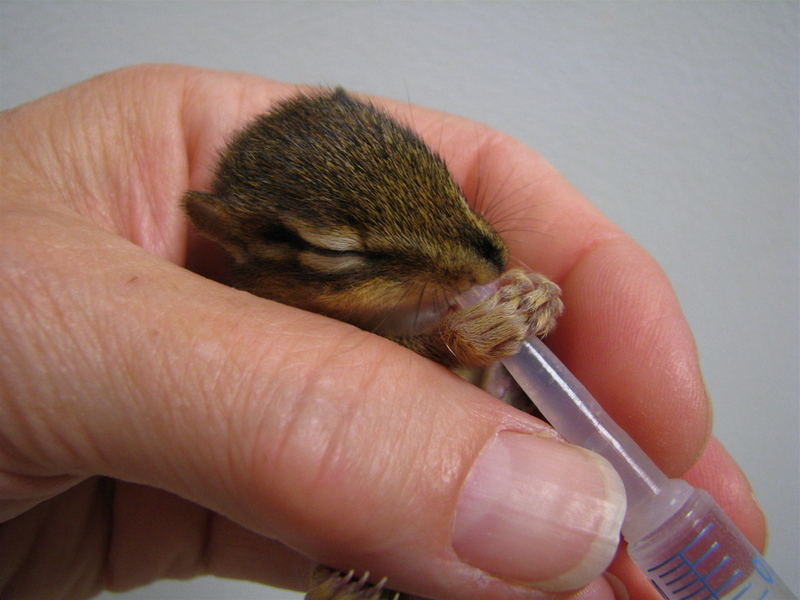 Chipmunks are just pretty darned cute, and North America can mostly call them it’s own. That’s because there are twenty-five species1 and only one, the Siberian Chipmunk, of Asia, lives elsewhere. 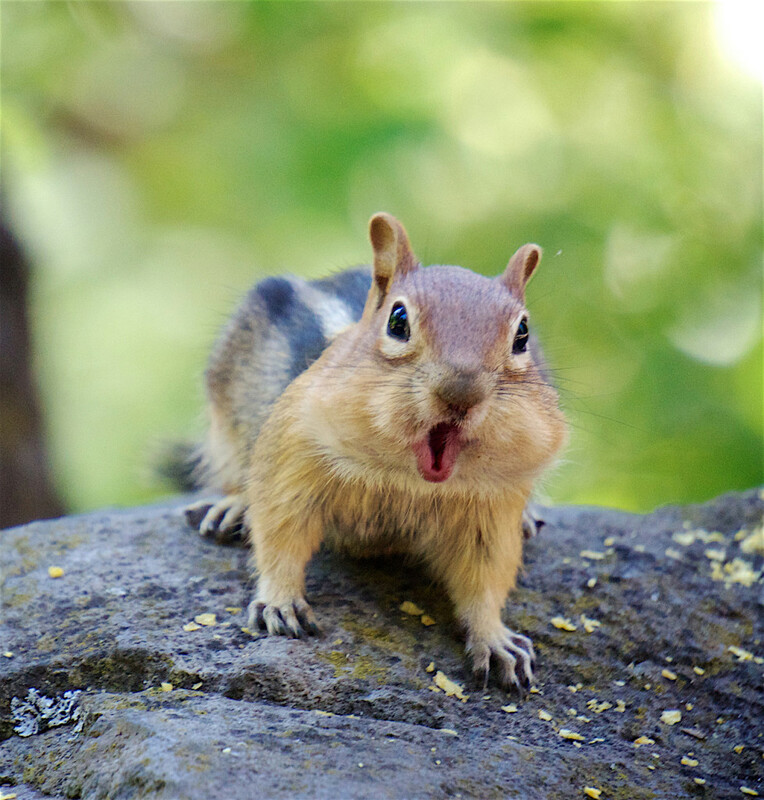 One thing that makes chipmunks beneficial is their feces, which contain the seeds and fungal spores they eat. Wherever they poop, they spread tree and other plant seeds, as well as mycorrhiza, a fungus that’s vital for increasing water and nutrient absorption in plants. (You can see it for yourself—it’s the white, root-like filament that grows from the roots of your potted plants, those in the ground, and possibly even in your compost bin.) Chipmunks are also beneficial as food for predators. Chipmunks are rodents in the squirrel family, Sciuridae. 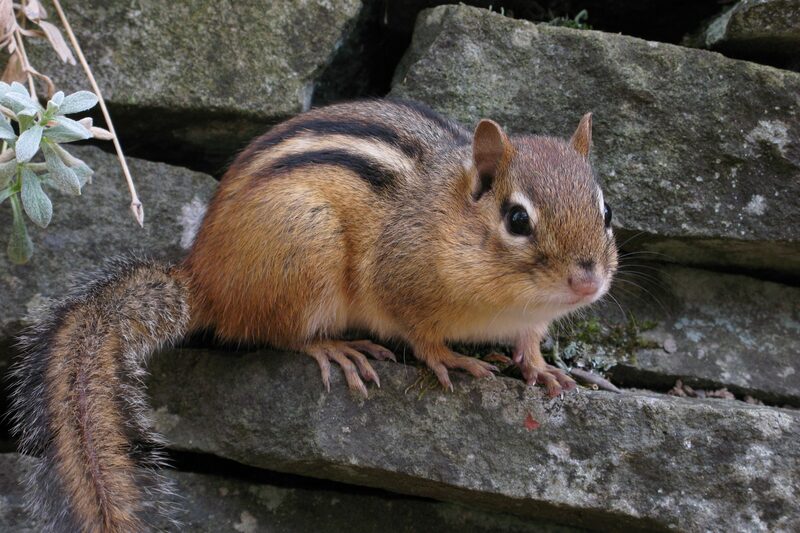 The largest chipmunk is the Eastern Chipmunk (Tamias stratus), which is only 11 inches long (28 cm), including the tail, and weighs about 4.4 ounces (125 g). It inhabits the eastern half of NA. The Least Chipmunk (Tamias minibus), found in western states and across Canada, is the smallest, at only 7.2–8.5 inches (18.5–21.6 cm) long, including the tail. It weighs just 1.1–1.8 ounces (32–50 g). Chipmunks have striped hair, large, dark eyes, perky upright ears, and short legs. A notable feature is their cheek pouches. There are two, one located on each side of the head between the jaw and cheek. 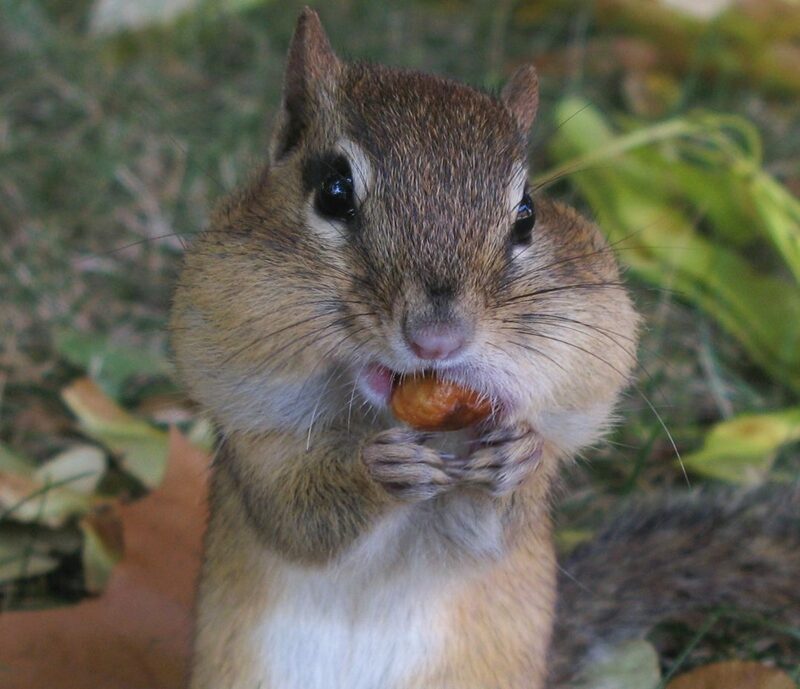 The pouches can stretch to hold an incredible amount of food, almost as large as the chipmunk’s body, itself. Chipmunks transport all this food to their burrow, where they store it to eat later on. 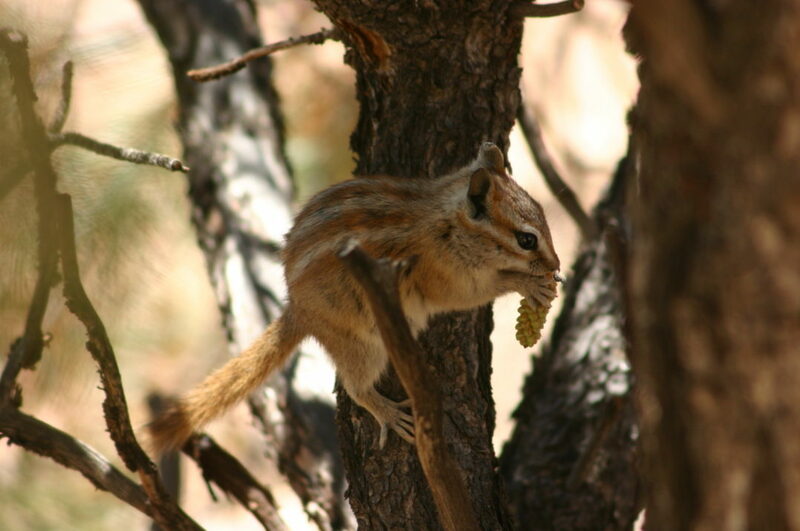 During the day, chipmunks spend a lot of their time collecting food to store in their burrow. This is important as they’ll need it over the winter. They dig two types of burrows: simple, shallow ones to use as protection during the day and long, multi-chambered ones for nesting, food storage and winter refuge. Burrows have more than one opening, so there’s always a way out in case of a predator’s invasion. For defense, chipmunks have speed, and they can climb trees very well. Chipmunks are solitary, except during mating season. Some species mate in early spring and again in early summer, while others mate only once a year. The gestation period is thirty days. Litter sizes vary. For example, the Least Chipmunk gives birth to two to eight pups, and the Eastern Chipmunk has three to five. At birth, pups are hairless, blind and about the size of a bumblebee. They remain in the burrow for about six weeks. By eight weeks, they’re weaned and on their own. The average lifespan is two to three years in the wild, but they’re known to live up to nine years in captivity. Chipmunks hibernate in the winter, sort of. They don’t put on body fat, like bears, which can sleep for very long periods. Instead, they awaken every few days to eat a few bites from their cache of food. They also use that time to urinate and defecate, but in a separate chamber—they keep their burrows very clean. During hibernation, their body temperature drops from around 94° F (34.4° C) to as low as 40° F (4° C). Chipmunks are omnivores and eat nuts, seeds, fruits and buds, grass, mushrooms, insects, snails, small frogs and snakes, young mice, worms, and bird eggs. Chipmunks prefer a forested habitat with many places to dash into for safety—fallen logs, stumps, brush, and rocks. They also live in wooded city parks and along fencerows. Yards, too, where they’re sometimes welcome and sometimes not, because of their penchant for nibbling in vegetable gardens and digging burrows under lawns. Predators include hawks, owls, foxes, Raccoons, snakes, weasels, and house cats.